Fujitsu, a leading information communication technology (ICT) company, today announced the availability of its pay-per-use, IP Address Management-as-a-Service solution through an agreement with BT, one of the world's leading providers of communications and IPAM services and solutions. Among the first to market, this solution leverages BT Diamond IP and the Fujitsu Cloud Infrastructure-as-a-Service Trusted Public S5 (TPS5) platform to deliver the first "as-a-service" IP address management (IPAM) solution, which positions and prepares enterprises to manage the exponential growth of IP addresses on a pay-as-you-go basis, supporting low cost of entry and driving significantly reduced operating expense. Through this collaboration, Fujitsu utilizes BT's IPAM product to offer not only IPAM services, but also the option for a full enterprise DHCP, DNS, IPAM (DDI) solution, providing centralized control of IP address space and supported customer-deployed DNS and DHCP servers. This provides customers improved management and administration capabilities, streamlined workflow, and better accountability and stability. Customers benefit from the assurance that their inventory of assignable IP addresses remains current and sufficient, reducing the risk of duplicate addresses, human errors and version control issues. "With the proliferation of smartphones, mobile devices, and VoIP relying on IP-based networks, Fujitsu recognized the need to control and manage the exponential growth of IP addresses," said Will Geoghegan, cloud architect, TPS5 Cloud and ISV Partner Solutions, Fujitsu America, Inc. "We're excited about our collaboration with BT and to deliver the first cloud-based IP Address Management tool to market, offering our customers a SaaS version of BT Diamond IP for their IP address management challenges." IPAM-as-a-Service enables customers to plan, track and manage the Internet Protocol address space with integrated DDI functions accessed through a uniform graphical user interface. It helps to improve efficiency, security and reliability of IPAM tasks and reduces the time and costs associated with network management. The solution supports IPv4 and IPv6, as well as DHCP and DNS features, to protect infrastructure investments and deliver a return on investment of 150 percent or more. "We are pleased that Fujitsu has selected BT Diamond IP as their IPAM solution provider," said Michael Dooley, Vice President, Software Solutions for BT Diamond IP, BT. "As Internet users continue tracking exponential growth projections and deployments of Internet of Things (IoT) applications, customers face a growing need for more dynamic address management. BT's partnership with Fujitsu, using our BT Diamond IP solution, enables us to continue offering best in class IP management capabilities to our customers with an alternative implementation model through cloud delivery." Fujitsu's IPAM-as-a-Service is available through Fujitsu to new and existing customers in North America. SecuritySolutionsWatch.com: Congratulations on the recent joint announcement with ImageWare Systems “Fujitsu, a leading information and communication technology company, and ImageWare Systems (OTCQB:IWSY) (IWS), a leader in Identity as a Service (IDaaS) cloud-based with multimodal biometric identity management solutions, today announced the global availability of pay-as-you-go, plug-n-play multimodal biometric cloud identity and authentication services. This new offering provides enhanced enterprise-level data security and enables rapid integration into existing or new corporate programs and applications. The new biometric-as-a-Service (BaaS) solution leverages the Fujitsu Cloud Infrastructure-as-a-Service (IaaS) Trusted Public S5 platform, as well as its Software-as-a-Service (SaaS) enablement tool, SystemWalker® Catalog Manager.” Please give us an overview of Fujitsu’s Cloud Partner Program. Will Geoghegan: Fujitsu has a long and demonstrated history delivering world-class solutions that enable businesses to succeed in a highly-competitive market and ever-evolving technology landscape. The Fujitsu Cloud ISV Partner Program is one more way we’re delivering exceptional value to our customers, where we focus on helping companies transform and deliver their solutions in an “as-a-service” model from our cloud. Our aim is to work closely with leading solution providers to take full advantage of not only our platform and tools, but the underlying shift in how the market consumes technology solutions today. With the Fujitsu Cloud ISV Partner Program, we offer the chance for solution providers to step into a leadership role and maximize the benefits of the latest cloud technology, including not only the transformation and delivery of their solutions as SaaS, but also for support in areas like sales, marketing, professional services, and across innovative operating and revenue models that support a “zero cost” option for the partner. SecuritySolutionsWatch.com: What are the key benefits of this program? Will Geoghegan: Perhaps the most important business benefit of this program is the value delivered through the SaaS enablement component, SystemWalker Catalog Manager. Since 2011, Fujitsu has helped more than 60 companies transform their businesses by transitioning to the SaaS-delivery model – a task that many of our customers found intimidating and daunting before engaging with Fujitsu. Most technology and solution providers are very good at their specific field of work, but many admit not having the requisite skills or experience to build and incorporate a SaaS-delivery solution into their business model. Leveraging proven process for SaaS enablement, deployed through our Infrastructure-as-a-Service (IaaS) Trusted Public S5 platform, Fujitsu can accommodate virtually any type of solution to deliver a SaaS-enabled platform with all the components necessary for a partner to successfully operate and manage their “new” cloud-based offering, including administrative and user portals, automated solution provisioning and scaling, and customizable billing and management functions. SecuritySolutionsWatch.com: Why Fujitsu? What is your perspective regarding the competitive advantages Fujitsu brings to the table? Will Geoghegan: Delivering value and business benefits are the primary focus for customers looking at any ICT solution. Fujitsu understands the industry trends and challenges facing businesses today – and we’re adept at listening and investigating to understand our customers’ unique situations and needs. We also are at the forefront of innovation, with a long legacy of creating new solutions to solve our customers’ biggest challenges, so our customers remain at the center of everything we do. The Fujitsu Cloud ISV Partner Program leverages our innovations related to the underlying SaaS operating model, making the entire program possible. We have a very deep understanding of the processes required as well as the associated tools necessary to make a cloud-enabled SaaS delivery model a reality. 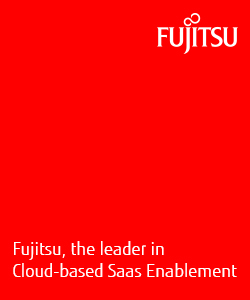 Regarding our Cloud ISV partners, we’ve tailored Fujitsu SaaS enablement to fit their specific solutions and technologies, so they can extend services to customers easily and help them quickly generate the value offered through cloud. SecuritySolutionsWatch.com: What is the essential profile of a partner in Fujitsu’s Cloud Partner Program and what does the development timeline look like from qualifying through management maintenance. Will Geoghegan: We are looking for solution providers that understand the need and urgency to adapt their offerings in response to evolving customer requirements and, further, that they believe that the power of SaaS and cloud-delivery is the solution. The development timeline is straightforward, starting with helping the prospect get up and running on our Infrastructure-as-a-Service (IaaS) Trusted Public S5 platform. The next steps involve working with the prospect on their technical and commercialization path, creating precise plans for the implementation of their solution on our SystemWalker Catalog Manager platform, and developing the overall go-to-market plan to launch the offering. After that, Fujitsu teams work with the partner on opportunity management as well as the ongoing technical maintenance of their solutions on the platform. It’s a comprehensive program that also offers support from Fujitsu on activities like Sales, Marketing and Support for the solution. SecuritySolutionsWatch.com: Will, can we discuss security for a moment? We all know the benefits of IoT…in seconds with our mobile devices we can pay a bill, send a gift, get the news, make a dinner reservation, and respond to that customer. But, there is another side to that coin - there are bad guys out there. And, the daily headlines tell us they are getting smarter too: the Target breach, HeartBleed, threats of cyber war are just a few examples. May we have your thoughts on Fujitsu Cloud Security re: data protection, intrusion prevention, and secure authentication. Will Geoghegan: These days, the topic of security arises during every technology discussion, particularly when it comes to cloud. For most, good security is about having multiple layers of protection implemented and managed under a series of best practices. Fujitsu does all of that. But Fujitsu takes it a step further. Our view as it relates to cloud is that security must include a thorough assessment of risk, which ultimately comes down to three factors: 1) data location, 2) integration methods, and 3) awareness of new threats. Understanding, prioritizing and managing these risk factors are what differentiates Fujitsu and positions it as a leader in cloud security standards and processes. Our world-class security practices are integrated in everything we do, including our Cloud ISV Partner Program. We look forward to sharing more about the Fujitsu Cloud portfolio, our Cloud ISV Partner Program and SaaS Enablement in the coming months.